It wasn't all that long ago that Gordie Howe's 801 career goals and Terry Sawchuk's 103 regular-season shutouts were records expected to last forever. Then along came Wayne Gretzky and Martin Brodeur, who dropped the former Detroit teammates to No. 2 in their respective categories. Players like Gretzky and Brodeur have set standards for NHL players of today and tomorrow to shoot at. But there are some individual records that don't figure to be broken for a long time -- if ever. Here are a few of them. 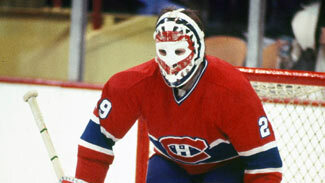 Dryden is a distant memory to a lot of younger fans, a guy they see on old films wearing a funny-looking mask while resting with his blocker propped on his stick (angled to its maximum height) for the Montreal Canadiens. His career began in 1971, ended in 1979 and has a hole in the middle for the year he sat out in a contract dispute (he used it to fulfill the requirements for his law degree). Perhaps lost in the shuffle is that no goaltender in NHL history was better at winning than Dryden. 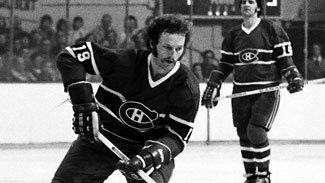 He went 6-0-0 after being called up by the Canadiens in March 1971, then led Montreal to the Stanley Cup. He won 39 games as a rookie in 1971-72, earning the Calder Trophy, won at least 30 games in every full season he played (in an era when about 20 percent of games ended in ties) -- and never lost more than 10 games. Dryden retired at age 32 with a career record of 258-57-74 in 397 games, meaning that he won 65 percent of all his appearances, an astounding figure that no one in NHL history has come close to (Antti Niemi of the San Jose Sharks is next with victories in 56.3 percent of his appearances -- including shootouts). Consider Dryden's performance by percentage points earned and he becomes even more amazing: His teams earned 590 of a possible 794 points -- 74.3 percent. For comparison, Brodeur, the winningest goaltender in NHL history, has earned 61.3 percent of all available points. As brilliant as Dryden was in the regular season, he was even better in the Stanley Cup Playoffs, winning 80 of 112 decisions, a .714 winning percentage that also leads all goaltenders. Gretzky holds dozens of NHL records, but this may be the one that lives the longest. Just as Joe DiMaggio's 56-game hitting streak remains the gold standard in baseball, Gretzky's streak of getting at least one point in each of the first 51 games with the Edmonton Oilers in 1983-84 is one that figures to be almost impossible to top. The only serious challenge came when Mario Lemieux had points in 46 consecutive games for the Pittsburgh Penguins before a back problem helped end his streak -- proving that health is as important a factor as skill when it comes to streaks. Gretzky also had streaks of 39 and 30 games with the Oilers. Mats Sundin of the Quebec Nordiques had points in 30 consecutive games in 1992-93; since then, Sidney Crosby's 25-game streak in 2010-11 is the longest in the NHL. Consider also that not only did Gretzky score every night during the streak, he scored a lot -- 153 points, or three points a game, during his run. His production during that streak alone would have won him the scoring title. The Winnipeg Jets took Selanne with the 10th pick in the 1988 NHL Draft, then waited four years for him to make the move from Finland to North America. He wasted little time in showing why he was worth their patience. Selanne burst into the NHL in 1992-93 and immediately began terrorizing goaltenders. He blew past Mike Bossy's rookie record of 53 goals and didn't stop until he'd reached 76, tying him with Buffalo's Alexander Mogilny for the League lead. Selanne's career figures to earn him a berth in the Hall of Fame as soon as he's eligible, but he's never come close to matching his rookie magic -- in fact, he dropped to 25 goals and 54 points in 51 games in his second season and didn't reach the 50-goal mark again until 1996-97, when he had 51 goals for the Anaheim Ducks. Bill Mosienko, a speedy center for the Chicago Blackhawks, turned the final period of a meaningless season finale against the New York Rangers on March 23, 1952, into a night to remember by scoring the fastest hat trick in NHL history. The future Hall of Famer beat goaltender Lorne Anderson at 6:09, at 6:20 and again at 6:30 of the final period, helping the Blackhawks end their season with a 7-6 victory. All three goals were scored at even strength, and all were set up by Gus Bodnar, who owns the mark for the fastest three assists. Mosienko's mark hasn't been serious threatened in the six-plus decades since then. The second-fastest hat trick belongs to Montreal's Jean Beliveau, who scored three times -- all during two-man advantages -- in a 44-second span on Nov. 5, 1955. No one has come any closer since then. Robinson, a longtime teammate of Dryden, was one of the great defensemen in NHL history. He owns five Stanley Cup rings from his time with Montreal, where he, Serge Savard and Guy Lapointe formed a legendary defensive trio during the 1970s. Robinson scored 197 goals and finished with 883 points in 20 NHL seasons -- but more amazing was the fact that he went plus-730 in that span. That includes a high of plus-120 in 1976-77, when the Canadiens rolled to the second of four straight Stanley Cups. Even more amazing is that Robinson was a plus player in all 20 of those seasons. The closest he came to missing was 1991-92, his final season, when he was plus-1 in 56 games with the Los Angeles Kings. Robinson's career total is far ahead of runner-up Bobby Orr at plus-597. Ray Bourque is third at plus-528, with Wayne Gretzky next at plus-518. Among players who've seen action in the last decade, the leader is Nicklas Lidstrom at plus-450, 10th on the list. Jaromir Jagr, who signed with the New Jersey Devils this summer, is tops among active players at plus-278. Since the NHL began play in 1917, 44 players have scored five or more goals in a game. Just one of those was a defenseman -- and it wasn't Bobby Orr, Ray Bourque, Paul Coffey or anyone else in the Hall of Fame. Ian Turnbull, a 23-year-old for the Toronto Maple Leafs, scored five times in a 9-1 victory against the Detroit Red Wings at Maple Leaf Gardens on Feb. 2, 1977. Even more impressive was the fact that he scored his five goals on just five shots, the only player ever to do so. Turnbull finished the season with a career-best 22 goals but was out of the NHL before he turned 30. Before he left, he also had a four-goal game for the Los Angeles Kings against the Vancouver Canucks in December 1981 -- one of only three four-goal games by a defenseman since Turnbull's record night. It's no secret that offense has diminished during the past couple of decades. But there's also been an under-the-radar drop in penalty minutes, as witnessed by the fact that none of the top 20 single-season totals was amassed since 1997. That makes it more likely that Dave Schultz's 472 PIMs with the Philadelphia Flyers in 1974-75 figures to remain the standard for a long time to come. Schultz, who had already earned the reputation as the leader of the Broad Street Bullies by piling up an NHL-record 348 penalty minutes (but scoring 20 goals) in 1973-74, wore out a path to the penalty box in '74-75. He shattered his own record by piling up 472 minutes in penalties, a total that hasn't been approached in nearly 30 years. He did score nine goals and finish with 26 points and a plus-16 rating -- and the Flyers won their second straight Stanley Cup. Schultz broke the 400-minute mark again three years later, piling up 405 penalty minutes with the Los Angeles Kings and Pittsburgh Penguins. Paul Baxter (409 PIM in 1981-82) and Mike Peluso (408 PIM in 1991-92) exceeded that mark but were nowhere near Schultz's record. Among active players, the one-season high belongs to Daniel Carcillo, now with L.A., who had 324 penalty minutes with the Phoenix Coyotes in 2007-08.